Fond of listening to music? Looking for a budget-oriented top 10 earphones under 1000. Nowadays, choosing the best earphones to buy among thousands is quite confusing & time-eating task especially to those who are the music lover. So don’t worry, we are here to help you out in choosing the best in-ear headphones under 1000 rs to buy today or in future. The feature mentioned on box or paper only tell half of story but further half is covered by us and that is user experience. How do we prepare out the list of best earphones below 1000? Now Let’s come back to topic. Today, people also want that their earphone should have a mic and deliver the good bass, so we have done same and the list mentioned below also contains best earphones with mic under 1000. Here is the 1More Piston Fit’s Review which ranked 1st in the list of best earphone below 1000 rs. The company works well on the design part giving compact premium look in-ear earphones. The piston-shaped body is lightweight & durable gives you long hour hearing. The front auditory tube bends obliquely at 45° to match ear canals for proper fitment & so when you are running or walking, it will not pop out easily. So this makes it the best headphones for running. The sound production is amazing gives crystal clear sound. Good bass, mids, & treble all work in a balanced way. So this won’t hurt your ears much. The company didn’t compromise in term of sound quality. The noise cancellation is good enough. On high volume, there will be no leakage of sound. The aluminium alloy body surfaces are finger resistant & body is coupled with Kevlar fibre cable for durability & strength. Thus the earphone is well built to be roughly used and it covers 1-years of warranty. The wires are tangle-free. Noise cancellation is somewhat above average. 1More piston fit comes with inline mic is positioned near to the mouth that makes your voice to deliver during calls. The single button remote allows you to get control over calls & music. 1More designs Xiaomi‘s popular piston earphones. Also, if I ever wanted to buy earphone under rs 1000 then 1More piston fit would be my 1st choice for best in-ear headphone. Want to know more about 1More Piston Fit, Read out- 1More Piston Fit Earphone- Full Review. Here is the Sennheiser cx 213’s Review which is our 2nd best earphones under 1000 rs. The earphone comes with absolute finger-contoured housing design which enhances the grip over the earphone. The earpieces securely fit into your ears but when you are on running, sometimes you need to readjust them. As expected, the sound quality is clean, powerful with a bass-driven output. The music outputs are crisp, definitive and have detailed mids along with a beautiful treble response. This earphone has high active noise cancellation which means no outside noise can disturb you, and that makes you listen to the music without getting disturbed by the outside noise. It comes with good build quality. The symmetrical wire makes it free from getting mix up. Also, 2 Year Warranty ensure you to go for rough use but remember warranty cover only manufacturing defect. No microphone, & No button for controlling calls/music. At first, you might be thinking this Sennheiser earphone as the best earphone but now with the given list, you might be clear about the comparison between Sennheiser cx 213 vs 1More piston fit. Earphone, 3 different pairs of Silicone Earbud’s Size(S/M/L). Both MRD-EX150 and EX155 are similar in all aspect the main difference is EX155 is having little bit more Bass as compared to EX150. The silicone rubber on ear tips offers a secure fitting and the sporty ear clips are perfect for exercises. The sound output by this earphone is clear, rich in details but a bit disappointed high bass lovers as it is having balanced bass as does not look artificially added, which is great for users. This earphone has an average active noise cancellation so that when you listen to the song, a little outer sound leaks in. The EX150 and EX155 sport a splashproof design that keeps it from getting damaged by sweat and water. The earphone is having a metallic touch which enhances the built quality as well as the look of the earphones. Sony MDR-EX150 and EX155 come with Single button In-Built mic, remote button & the user can also customize its control with Sony Smart key, available on play store. Earphone, Wire Manager, &an extra pair of ear tips. This lightweight earphone comes with absolute finger-contoured housing design which enhances the grip over the earphone. The earpieces easily & comfortably fit in the ear. Also, due to the absence of its angular shape, it is prone to fall out from the ear while running or walking. You will love the song while listening over this earphone. The sound is crystal clear, loud & produces a powerful bass. Mids and Highs are bit missed while listening to the song. This earphone has good active noise cancellation thus no outside noise can disturb you & that makes you listen to the music without getting disturbed by the outside noise. It comes with decent build quality. Its wire is thin so can’t much expect about its durability. However, 2 Year Warranty ensure you to go for rough use but their warranty covers only manufacturing defect. The symmetrical wire makes it free from getting mix up. Sennheiser India sold out this earphone in the large amount as compared to other earphones in this range and still going on. No microphone, & no such remote to control call/music, & Mids & Highs are little Muted. You might be thinking of it as the best earphone under 1000 rs but you might get clear about it. Also, if you were confused between Sony MDR-EX150 vs Sennheiser CX 180 so after seeing the list you get a clear idea. Here is the Mi in-ear headphone’s Review which is the best budget earphones in India under 1000. The company does well in term of design. The design is pretty attractive, shining body, & it comfortably fits in the ear. It is light in weight comes with metallic finishing. Its angular shape ensures user for a disturb-free walking and running. It has good sound clarity with a heavy bass whereas Trebles are average. Mids are surprisingly good and Clear but Highs are not that clear. It comes with an average Noise cancellation. The outer sound will disturb you bit but for clear listening, you have to go away from the noisy place or else you can increase volume. Build Quality is very good and it covers a 6-month warranty which includes only manufacturing defect. Also, It has a tangle-free flat cable made of Kevlar which is a very durable material. The Mi earphone comes with inline mic & 3 button remote allows you to get control over calls, music and can also be used to trigger the Voice Assistant on your Smartphone. Xiaomi could offer better Sound quality for Rs 699. Vocals are not very clear and multiple instruments cannot be distinguished. There is no extra Piece of the different size of earbuds. In term of value for money, this headset rank well amongst best earphones under 1000. This ultra lightweight earphone has an elegant plastic body. Its angular shape fits comfortably into the ear canal and makes easier for the user to stay longer with music. In term of the lightest earphone, it is the best earphone under 1k. The JBL T210 is having angled 3.5 headphone jack which is great for gamers. This JBL earphone produces a pretty good sound with a great mids & powerful bass. The treble production is great in JBL T210. The JBL is one of the biggest names in the field of the sound. The bass in JBL T210 is great and I think one of the best earphones for bass lovers. And this product is great for the value. The JBL has used Metallic ear-housing which is not only long lasting but also affected the quality of the sound. The active noise cancellation is decent. On a bit higher than medium volume, it is more effective so you won’t hear any outside noise even in traffic. The company uses good quality of plastic whereas the wire is also made of good quality of rubber and is having flat tangle free wire which saves a lot of time. The Flat wire increases the durability of the earphone. This earphone covers 1-year warranty which includes a manufacturing defect only. The inline mic & single button remote allows you to get control over calls & music. The JBL T210 comes with the mic is placed just below the mouth from where single wire gets divided, so therefore you need to use your hand to pull the mic near to your mouth. This ultra lightweight earphone has an elegant plastic body. Its angular shape fits comfortably into the ear canal and makes easier for the user to stay longer with music. In term of the lightest earphone, it is the best earphone under 1k. This JBL earphone produces a pretty good sound with a great mids & powerful bass. The treble production is improved than its predecessor i.e., JBL C100si. If you didn’t have sufficient budget upto this price than we recommend you to go with JBL C100si(popularly known as Jbl c100si dynamic wired headphones) because in both the only difference is the treble production. The company uses good quality of plastic but for wire, they are thin & tangle free, its durability depends on your way of usage. This earphone covers 1-year warranty which includes a manufacturing defect only. The JBL C200si comes with the mic is placed just below the mouth from where single wire gets divided, so therefore you need to use your hand to pull the mic near to your mouth. Wire Quality could be better. Again like other earphones, this earphone also features angular shape to make user-friendly and easily fits into the ear. Its angular shape helps the user while running or walking, by making a secure fit and thus ensuring a disturb-free walking & running. The sound output is loud, clear and good bass production. The earphones struggle at sub bass but overall audio is quite clear and crisp. The noise cancellation is one of the best in earphones under 1000 thanks to its IEM design that gives it a cylindrical look. The company has provided with a solid cylinder-shaped build that is very sturdy and stable. The wire is the only concern but isn’t a major red flag but you should be careful with usage. The inline mic has 3 buttons and comes with a shirt clip which is a nice addition. The weak wire could last for some month but with care, it would last till long. So, we would you recommend you to either consider other sturdy options that suit your usage or go easy on these. Design of the earphones is stylish and it looks very premium. The bOAt earphones are lightweight and durable which gives you the capability of listening to music for long hours. In this earphone, bOAt has used a flat type of cable which adds a cool gesture to the earphone. The wire of bOAt 225 is tangle free and are made of rubber. This earphone is having L shaped 3.5 Headphone jack. bOAt 225 is having 1.5m standard tangle free wire. The build quality of earphones is very nice and it feels comfortable in your ears due to the metal body and good quality of rubber buds respectively. The cable of this earphone is very strong as compared to other earphones. They are made up of the metal body and despite of that, they are still light in weight. bOAt 225 is so much comfortable that you can use this earphone in GYM also. These are one of the best sound quality earphones which comes with 32-ohm impedance, with a price tag of 1000rs. The earphones come with 10mm drivers that aim to provide clarity along with stereo sound with particular attenuation to ambient sounds BOAt bass heads are bassy as compared to the other earphones and it’s not overwhelming which is really good. Bass is highly maintained in bOAt BassHeads 225 which makes it a great choice for Bass lovers. The sound quality of this earphone is great with enrichment of wordings. The sound is having great clarity at full volume also. Call quality is great as the audio is clear and loud. The performance of the microphone is also great. Earphone,4 different pairs of Silicone Earbud’s Size(S/M/L), ear hooks, and shirt holding clip. When it comes to Noise cancellation as it has a tangle-free wire design, BassHeads 225s performance is unbeaten at the price tag of Rs 500. Here is the Audio Technica CLR 100’s Review which is the low budget earphone after Mi Headphones Basic Headset with Mic. This lightweight earphone comes in angular shape so it easily fits into the ear. The earphone was little uncomfortable to ears but it could be bearable. Black, Red, White, Pink, Green & Orange. We are amazed by the sound quality of earphone but not in the term of bass. It produces average bass. The lows, mids, highs & treble, are well balanced. So, it is also a good earphone which belongs to the Best earphones under 600. The noise cancellation is decent and the user should increase volume or moved to the less noisy place for effective result. The company compromises here with build quality. The build quality of wire is not good and even they are not tangle-free. So, if you buy this, don’t use it roughly. The earphones cover only 1-year warranty. The quality of wires is compromised here, No microphone, & No button for controlling calls/music. This headset ranks on 2nd position in the list of best budget earphones in India. Earphone, 3 different earbud’s size(s/m/l) & travel-friendly collapsible cord wrap for wrapping wire. What are lows, mids, & highs mean in music? Lows are low-frequency sound. Similarly, mids & highs are mid & high-frequency sounds respectively. Where Lows include Bass and Sub-Bass. Sub-bass sound frequency lies between 20Hz and 70Hz(approx) & for the Bass, sound frequency lies between 80Hz to 250Hz(approx). Mids includes low-mids, mid mids, and high-mids. Where Low-mids lies between 250Hz to 500Hz(approx). Mid-mids lies between 500Hz to 2000Hz/2KHz(approx). High-mids lies between 2KHz to 4KHz. Highs mean high-frequency sounds like treble sound. It ranges from 4KHz to 20KHz. If you are listening to the music at the maximum level it might take you in a problem in future, so try to listen to 60% of a maximum sound level. If you hear more than 1 hour then it would quite good for you to listen to 50 to 60% of the sound level. Since many earphones or headphones are available in the market from better to worse consider using within limitation as mentioned above or Read More at– NHS. Have you ever tried to play Youtube video in the background on your Smartphone? First of all, download Mozilla Firefox web browser to your device via play store. Then open the Mozilla Firefox web browser. You will see three dots on the upper-right side, & click on it. A pop-up menu will appear in which there will be an option for “REQUEST DESKTOP SITE”, & select, or tick it. After that run youtube video and done, Now when you lock your device or you switch to other apps, your video will still be played in the background. Also, we attached a video below so that you can test over the bass of your Headphone or earphone that you currently own or further planned to buy. How much do you like the post ‘best earphones to buy under Rs 1000 2018’? We hope You would find our post ‘top 10 earphones to purchase below 1000 with mic’ helpful, either Yes or No, share your thought in the comment box as we love your comment. Also, be in touch to firstly know about our next upcoming post- Best headphone in India under 1000 and 2000. Subscribe to our page, to get the Best advises, & Latest News about Gadgets & Technology. 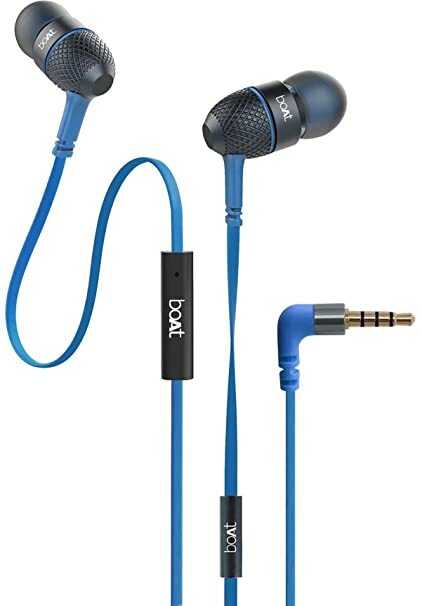 Also, Don’t forget to share the topic ‘Top 10 best budget earphones in India below 1000 with mic & bass’ on social networking site because this might be helpful to others. Happy to hear such words from your side. Thanks for visiting topbestof & Have a Nice Day. Excellent, clear and precise ! Thanks for visiting topbestof & Have a Nice Day. This is great unbiased representation of earphones ,great work by the editor. Thanks for the such words and we highly appreciate that you find our work as one of the best work. Thanks for visiting topbestof & Have a Nice Day. Awsome list, helped a lot. thanks for the suggestion and advice. ? Please give an idea about comparison between House of Marley Smile Jamaica EM-JE041-SB In-Ear Headphones with Mic and Tagg Symphoney x150. I cchecked evverywhere but there is no comparison between two nor any suggestion. On amazon it is rated half star more than HOM but still i am seeing HOM in top earphones but not Tagg. House of Marley Smile Jamaica EM-JE041-SB In-Ear Headphones is a better option than Tagg Symphoney x150. really thanks for your work….. recently i buy one more piston earphone…really amazing sound experience,quality and design…..thanks tbo for reviewing such a great products…..plz continue…your effort is priceless. “Active Noise Cancellation” mention in the sennheisers is wrong. It should have been PASSIVE noise cancellation or better still noise ISOLATION. Active requires a lot more efforts . Thanks for the correction and soon we will be look into it. Nice list. Can you please give some insight on boat bassheads? We feel sorry that your preferred earphone is not on our list. But still, it is your demand we will try to cover it as soon as possible. I bought 1 more piston earphone on 22 july 2017 and it’s working amazing since then . Its little heavy because of its metal body , but still has a great grip at ears . Bass is nice as compared to price . I always read your reviews . Thanks for give such a great advice and review @yash . Looking forward to your posts . Very insightful and informative, great list !! Would be really appreciated if you can plz help me pick between sennheiser cx180 from Amazon at 709 INR and 1more pistonfit from headphonezone at 899 INR. ₹200 difference! If you are concern about Money then Spending 200 more is not a good decision but if it is not problem for you then go for it. HeadphoneZone offers the cheapest price for 1More and is registered as a seller on the 1More India Website. Paytm Mall isn’t. It seems that you are looking for the cheapest Price for 1More piston fit. Click here to get the best price for 1More Piston fit. Could you let me know of the Brainwavz Omega? As Per You Which One Is Best Under 500 Rupees. Hey can you please help me to buy earphones with great sound and comfortable to wears for 2-3 hours without pain in ears under 1000 RS. I’m confused between Brainwavz Omega and One more piston fit please help..!! We will prefer 1More Piston Fit because Brainwavz Omega tends to shrill at the higher volume. If you had to chose between audio technica ath clt 100 and 1 more piston fit earphones solely depending on audio quality which one would you prefer? Which one has a better overall audio output in your opinion? As far as the audio department is concerned which earphone do you feel performs better-audio technica ath clr100 or 1more piston fit earphones?Which has a better overall audio output in your opinion? Which one to choose between Mi earphone (ydjs01jy) priced ₹699 or one more piston fit? It seems the hardware to be better with Mi. But what about both of their sound quality. In Sound Quality, 1More Piston Fit is ahead of Mi Earphone. Mi earphone at 699 or 1 more piston fit ? Low or tight on budget then, Mi earphone else 1More Piston Fit. Thanks for Sharing Very Nice Information about Best Mobileslatest Earphone. You Shared all Earphone are Very Well. You are correct. Even, JBL150A ranks 1st in the list of the best earphones under 1500 in India. Let me know if you have any doubt left. I am MI and i find the sound quality is quite impressive. But i would say SONY is ultimate in-terms of Quality. I listen lot of PODCAST and SONY’s quality is unbeatable. Ya, you are correct. That’s why Sony earphones are in the list. My 1more pistons got damaged within 9months of normal usage…they still work but have to connect it with care and sometimes only one earpiece works. Thought that it will last more than a year but didn’t. You still have some warranty period left. Could you tell us, from where did you buy? I would like to add one more earphone to this list which is House of Marley Smile Jamaica. It is a great choice if you listen to a lot of Jazz type of music. It has excellent build quality as well. Anyway excellent list of best earphones under Rs.1,000. Keep up the good work!